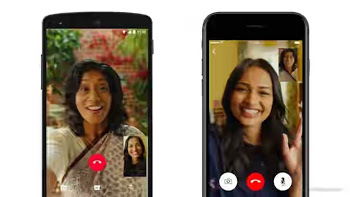 Finally, official whatsapp video calling features has come to stay, as it is now out of Beta. Few weeks ago the Beta was in place just for testing and observations, but now the main official whatsapp video call application is out for all users. As stated by whatsapp officials, that users should be expecting the video calling features in coming days. Below is how it was announced by WhatsApp developers. In the coming days, WhatsApp's more than a billion users on Android, iOS, and Windows will get the ability to engage in video calls with their contacts. I believe by now all must have known the person that owns Whatsapp chat app, that is Mark Zuckerberg, his also the owner of Facebook social media. As it stands, he has come to think of what is lacking on whatsapp and has found out that the platform is lacking video call, and due to that, an immediate work has been going on in order to implement the video call on whatsapp. So with the announcement he put forward, all should believe that the feature has come to stay, so it should be a story of the past. Read also: Links To Download The Latest GBWhatsapp For All Android Version. Meanwhile, Techbmc is yet to find out if users need to download the latest version of whatsapp from playstore in other to get the feature or it will automatically appear in coming days without upgrade. Just stay tuned with us in case of any new thing that comes up and we will let you know.